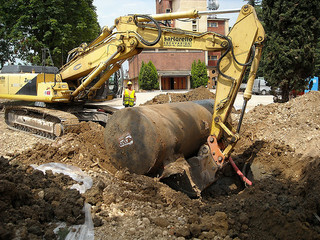 Owning an underground storage tank (UST) comes with a formal set of responsibilities. 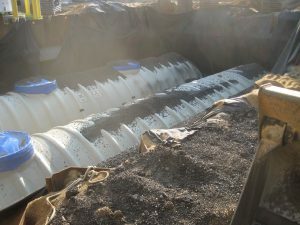 Government regulations are designed to lessen possible releases of contaminants from underground storage tanks through tank construction and installation standards and by leak detection technology. 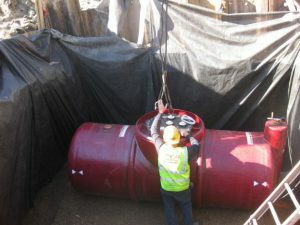 A professional environmental engineering firm can assist you with the purchase, installation and monitoring of your underground storage tank in compliance with regulatory requirements. Fire safety and groundwater protection are the primary drivers of UST regulation. Fuels or other hazardous substances that leak from USTs or are spilled during filling or extraction can cause an explosion or fire and be toxic to people, plants and animals. When UST liquids leach into the groundwater they can cause a loss of public water supplies or require costly treatment. Today, many underground storage tanks are made of fiberglass or are coated with fiberglass or some other composite material, to eliminate corrosion that leads to leakage. And all tanks are now required to have secondary containment in the form of double-wall tank construction or a separate housing around the tank. Older tanks without secondary containment may be in regulatory compliance by following the procedures below. Daily inventory reconciliation, and recording any unexplained losses. Monthly testing of cathodic protection on steel tanks. Monthly release detection monitoring for liquids or vapors in the surrounding soil. You must maintain testing results on file, to show an official inspector that visits your facility. Exceptions to UST regulatory requirements. Tanks used for certain lower-volume (<1050 gallons) applications such as storing farm fuel or home heating oil, or those that don’t involve designated hazardous substances, are exempt from the underground storage tank regulations. These USTs while technically exempt can still trigger a reportable spill and cleanup in case of a leak or spill, so careful UST management or replacement is worth considering, especially if the tank is made of steel and in more than 15 years old. Walden is ready to help with your UST needs including tank design, installation and removal.